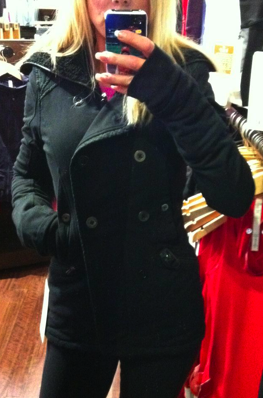 Thanks to the lovely Sharon from one of the Lululemon Facebook Groups for trying on the Cozy Coat. 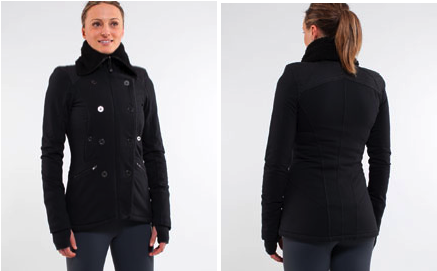 It’s $178 and is lined with sherpa fleece throughout and fitted to the body so you can comfortably wear a base layer like a Cabin LS or Swiftly Tech Tee but not something bulky. "Product Information For Run: Back On Track Skirt Pig Pink/Coal"